Do you know what core muscles do and why you should train to make them strong? Your core muscles are responsible for you being able to be upright and move about. Strong core muscles will reduce your risk of injury and improve your quality of life. Balance, proprioception and co-ordination essential elements to experiencing a quality life. Core strength assists in every day activities, and by improving this, a person’s risk of injury is reduced. So whether you are an elite athlete, a health or fitness professional, or an ordinary average person, please take time to learn why core training is important if you want to have an active and fulfilling life. 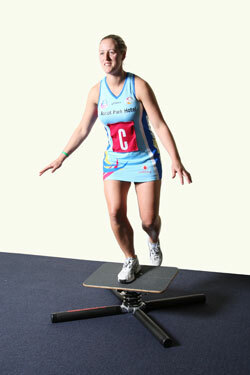 The Gyroboard is definitely something new, fun and challenging for coaches and physios looking for something to motivate their players and clients. 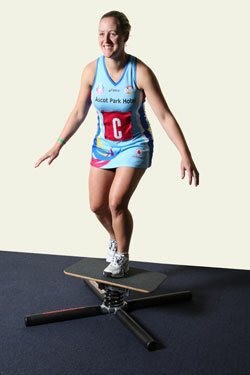 "I have really enjoyed using our Gyroboards when I’m working with the Southern Steel Netball team. The players and I have been busy trying out new exercises that mimic what actually happens on court when landing off balance, getting knocked, etc while still concentrating on the ball and what’s going on around them. 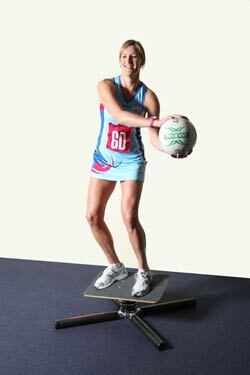 Balance and proprioception are crucial aspects of a netballer’s game, and the Gyroboard has been of enormous value in developing that in our elite players. Similarly, player’s rehabilitation following lower limb injury and surgery has been greatly enhanced as has the team’s core strength. Netball Southland is developing a plan to incorporate the use of the Gyroboards into every netball session that our representative age group players carry out. We see this as a way of strengthening these young developing players’ core, knees and ankles to prevent injuries. Many of our senior players rely on strapping or wearing guards on their ankles and knees. This prevents these joints from doing what they are really designed to do - the ankle to provide mobility and the knee to provide stability. Taping of player’s ankles limits mobility in ankles and makes the knee joint assume this role - hence the horrific knee injuries that are suffered on an annual basis. Unfortunately many of our players’ ankles have deteriorated over their careers and the require strapping every time they exercise. 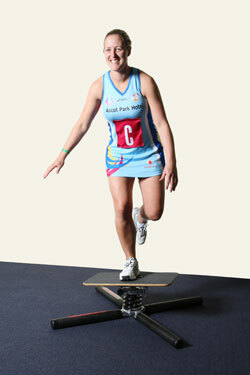 By utilising the Gyroboard as a training aid for our young, future stars, we hope to eliminate their need for strapping and bracing and add to their athletic development."